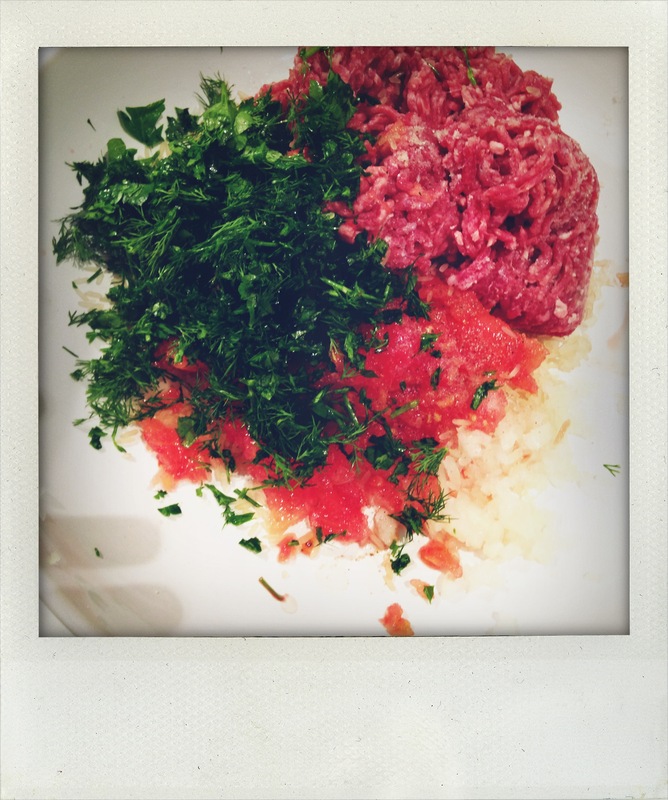 Mix the mince, the rice, onion, parsley, dill and grated tomato in a bowl. Mix it well with your hands and add the olive oil and seasoning – about2-3 teaspoons of salt is about right. 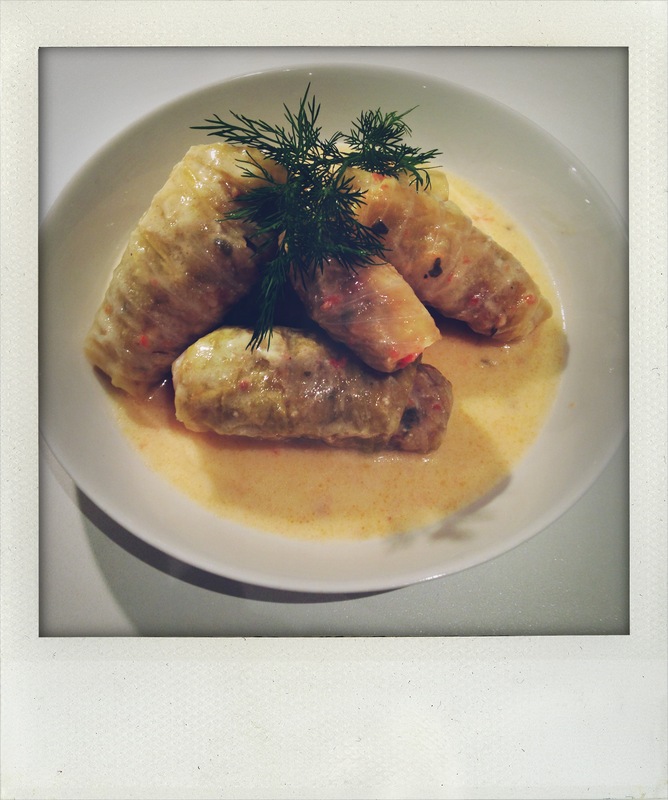 Put a small spoonful of the mixture at one side of a cabbage leaf and roll it into a bundle. Do this until all the mixture and leaves are used up. Butter a deep metal pan (it’s good to line the bottom of the pan with a leaf or two) and pack in the cabbage bundles – there must be no space between them. Place a few leaves over the top of the parcels. Slowly add enough cold water to cover and also the chopped tomato – dot with any remaining butter. Carefully, place a heat-resistant plate on top – this holds everything in place whilst cooking. Simmer, gently for about 40 minutes, ensuring that there is enough water in the pan so that it doesn’t boil dry. At the end of the cooking time, gently lift off the plate and peel back the covering leaves. 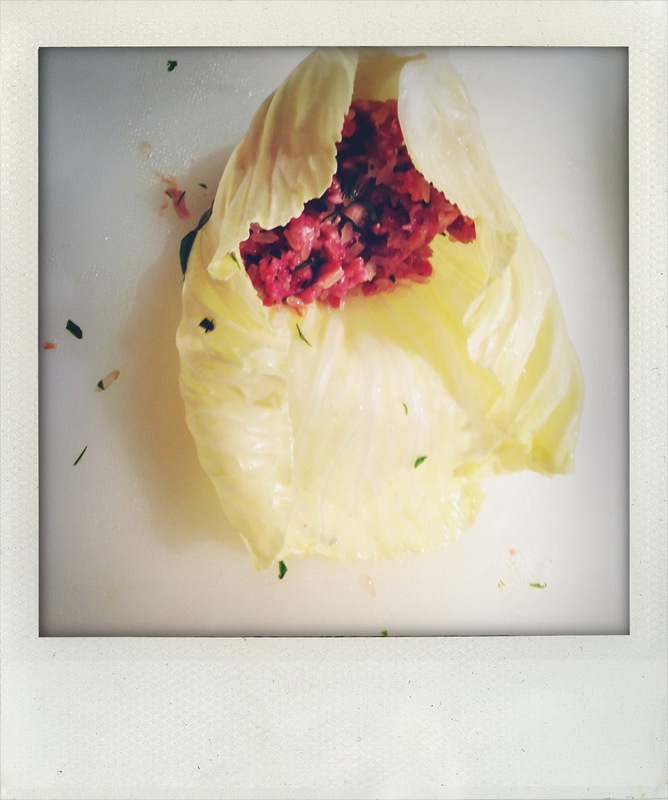 Lift out a cabbage parcel to see if the rice has cooked – a little more cooking may be needed. When they are cooked allow to cool slightly while you make the mixture for the egg and lemon sauce. Beat the eggs in a fairly large bowl with a pinch of salt. You need a good sized bowl as,eventually you will add most of the cooking liquid – not yet though ! Next gradually add the lemon juice, beating all the time. Now gradually add the warm cooking liquid to the egg and lemon mixture, beating all the time. This is really crucial as you don’t want the mixture to curdle. Beat in as much of the cooking liquid as possible. 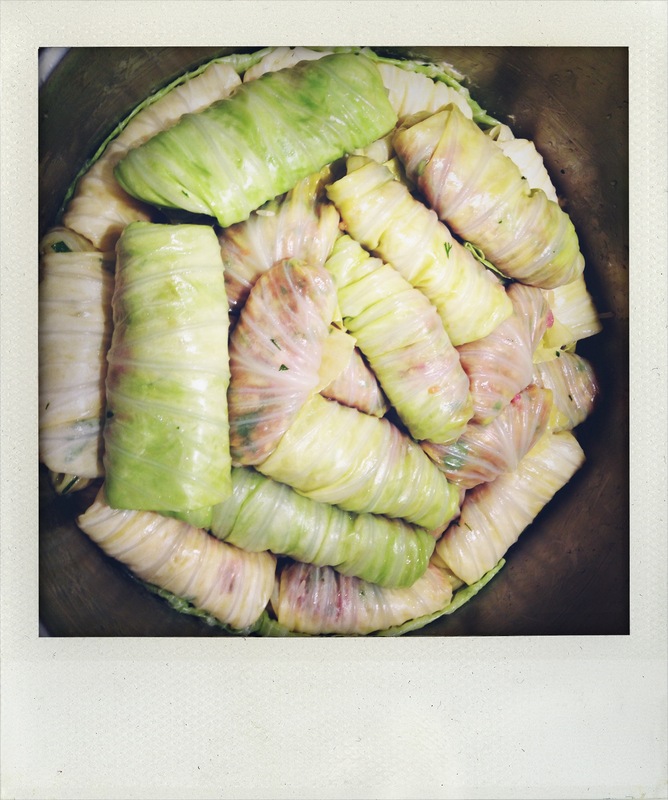 Finally, pour the egg,lemon,liquor mixture back into the pan with the cabbage parcels and leave to stand – this will allow the sauce to thicken. The only accompaniment you will need for this are slices of feta.